China, the world’s biggest potential smart meter market, has just set some ambitious goals for pushing smart pricing and energy awareness to the masses. Now, the question is how these lofty goals will be put into effect by the regional governments responsible to fulfill them. In a little-noticed December announcement, a key Chinese central government agency has asked the country’s regions to implement a “One Meter Per Household” standard over the course of the next three years. 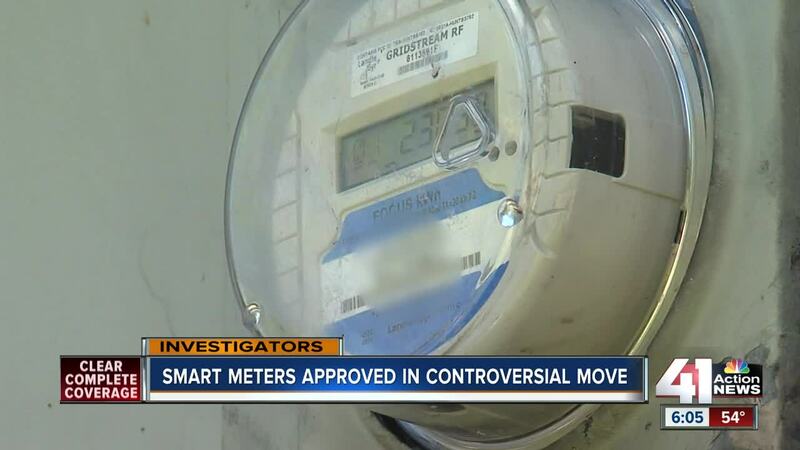 As translated by GTM Research’s Charlene Fowler, the announcement calls for 95 percent of meters shared by more than one household to be replaced, and for all meters to be monitored individually in each household, by the end of 2017. While the statement from the National Development and Reform Commission (NDRC) doesn’t specify just how “smart” these meters need to be, it does stress that they’re meant to allow all regional authorities to implement a “step pricing” system, also known as “Peak-Valley Pricing,” by 2015. That’s the NDRC’s term for time-of-use pricing, and it’s meant to encourage people to “move the peak to fill the valley” in daily energy use — that is, to reduce peak energy demand to better match it to baseload resources — while keeping overall residential energy prices at a relatively steady level. This kind of time-of-use pricing has been applied to roughly two-thirds of China’s industrial and commercial electricity users over the past two years, according to research firm Azure International. That’s one of the highest levels of adoption in the world. And, unlike the vast majority of TOU programs in other countries, China’s province-wide programs are mandatory, not voluntary, according to Anders Hove, Azure’s cleantech advisory manager. If it succeeds in driving full-scale meter deployment, however, the directive could ensure China’s dominance in the global smart meter landscape. Research firm ResearchInChina reported in June that bids to replace old-fashioned analog meters with digitally enabled, communications-capable meters across China added up to 76 million units in 2012, with single-phase meters that serve homes and small- to medium-sized businesses accounting for 92 percent of that total. The United States had about 46 million smart meters installed as of mid-2013, reaching about 40 percent of households. But while the pace of North America’s smart meter deployments have peaked, China’s are on an upswing — and the country, with some 1.34 billion people and 402 million households according to its 2010 census, has a lot more customers to serve. As for the value of that nationwide rollout, it’s expected to be massive. 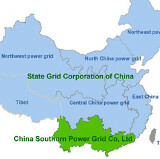 A 2011 report from China Daily cited a member of the country’s National Standardization Committee for Electrical Meters stating that State Grid Corporation of China (SGCC), the national utility that serves about 80 percent of the country, has 300 million potential smart-meter users representing 50 billion yuan ($7.7 billion) in business value for meters alone, and an additional 70 billion yuan ($11.6 billion) in related equipment and software. China’s definition of “smart meters” is quite different than the U.S. definition, however. China is targeting a much lower price per meter for its deployments — about $50 apiece or less for mass-market residential units, compared to the $150-and-up ranges seen in North America and the $100-and-up common for European smart meter projects. That means that many of China’s “smart” meters may have far less functionality in terms of computing power and communications capability than their equivalents in the U.S. and Europe. It’s also important to note that many of the multi-million meter deployments taking place in China today may not be fully functional yet. That’s because the country has decided to split up its smart meter deployments into separate metering and communications components, and many of the next-generation meters being rolled out today may not yet be supported by the network and back-office technology needed to make use of them. Chinese manufacturers and technology providers are expected to reap the lion’s share of the country’s metering rollout, given the government’s stance of giving homegrown technologies a leg up. Still, the market is highly fragmented — ResearchInChina reported that the country’s top three companies, Wasion Group, Linyang Electronics, and Ningbo Sanxing, hold less than 6 percent market share at present. That means that non-Chinese companies have a role to play in China’s metering boom, as partnerships, such as Echelon’s joint venture with Holley Metering and eMeter and Siemens’ partnership with Wasion, indicate. Itron, Toshiba’s Landis+Gyr, General Electric and Silver Spring Networks have all set their sights on China as part of a broader push into emerging Asian markets. 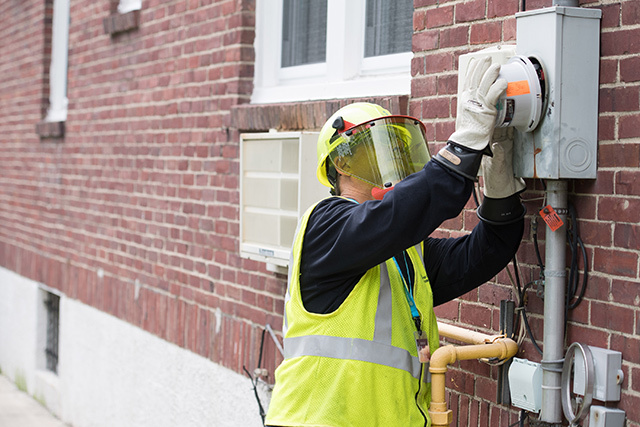 Likewise, non-Chinese companies such as Qualcomm are contending with homegrown technology to supply the powerline carrier systems expected to serve the majority of smart meter communications needs, as well as a host of supporting technologies. While it’s hard to predict how China’s smart meter landscape will take shape, Hove noted that the simultaneous call for time-of-use pricing should force the regional deployment to include some bottom-line functionality to support it. “TOU pricing clearly depends on meters, so that will be a key consideration for localities that decide how or if to implement this new policy,” wrote Hove. Just last week I attended a UK workshop by the Carbon Trust on behalf of DECC (informally written up here http://blog.kwiqly.com/2014/03/smart-meter-enabled-innovation-non.html ). This is primarily because “analytics” are a inevitably a key part of the value chain and they are evolving fast. If capabilities are embedded and a form factor, the capabilities become stale and a huge opportunity for good is lost at great expense. A ConEd engineer says the difference between off-peak and peak rates during summer is two-and-a-half and one. Staten island and Westchester were chosen because they have the highest concentration of ConED's 1 million smart meters in the New York ara. Among the most powerful tools in the energy toolbox is sending price signals to consumers as a way to influence behavior. One of the key benefits of the smart grid is its ability to notify operators of power outages and self-heal. Once humans do step in, they can perform their work more efficiently because they already know where and what the problem is.